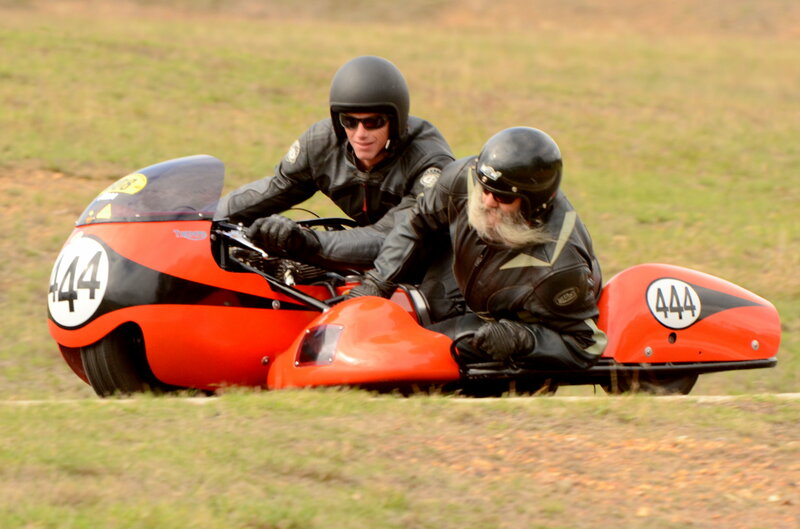 Landing upon such a substantially valuable nugget of information kicked the Motorcycling Australia Museum & Heritage Committee into action, introducing a new three wheeled push at the annual Shannons Insurance Broadford Bike Bonanza (SIBBB). The 2019 SIBBB will showcase sidecars from a variety of disciplines and coveted eras, with the different eras of development characterized by the era in which they were originally made. With all major components (engines, brakes, wheels) from the specified era, Period 1 is dated up to 1919, Period 2 is dated from 1920 to 1945, and Period 3 from 1946 to 196. These periods feature a signature difference to newer models, with all models including motorcycle wheels, a seated rider and the passenger exiting out in front of the sidecar wheel. Contrastingly, Period 4 dated from 1963 to 1972, is the first to feature “the kneeler”, where the rider kneels on the bike and the passenger exits out the front, plus automobile tyres. Period 5, dated from 1973 to 1982, features rider’s kneeling on the bike and the passenger exiting out the rear of the bike, use slick racing tyres. Stand out machinery appearing at the 2019 SIBBB includes: Shane Souter’s two LCR (Louis Christensen Racing – Switzerland) chassis outfits, with one having a 500 2T ATM motor and the other a 1000 Suzuki that he used whilst racing in Europe! Neville Hazelman’s Yellow Peril is also coming out into the sun this Easter long weekend! This revolutionary 1980’s machine had a 1000 CBX motor, 2-wheel drive and no handlebars! Hazleman was a Kyabram, Victoria boy who was gifted mechanically and spent time building Honda’s Superbikes. Halzeman enjoyed a spell in Italy at the Belgardia Factory building motors, but returned to Australia, fitting an R1 motor into his own chassis. Many other Sidecars will be on hand like Doug Chivo’s Period 4 Konig (boat motor) and his Period 5 Norton Rotary! Chivo has been racing for many years on many different sidecars, clocking up many Australian titles. Rob Crass’s LCR Krauser (2 stroke) Barry Ditchburn’s TZ 750 P5 sidecar and his TZ long bike will also feature at this year’s SIBBB, alongside Ken and Barry Horner’s P4 and P5 Vincents! For all things sidecars, this is an event you do not want to miss!